Continuing on with the spring wardrobe enhancements…today, Lily gets a new cardigan! 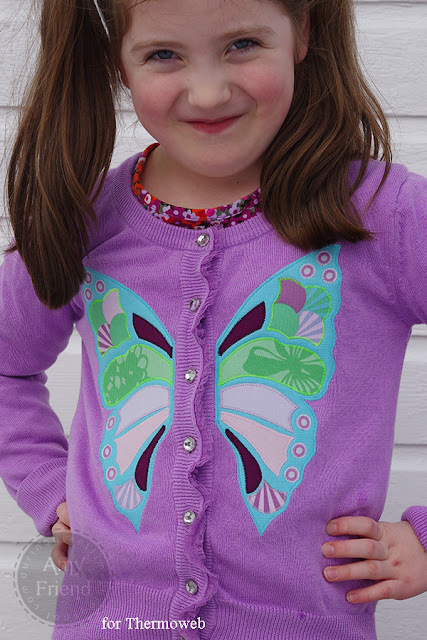 I purchased a plain cardigan at Target and then appliqued the butterfly, half on either side of the button placket. She loves it! If you have a little girl to sew for, the complete tutorial can be found on the Thermoweb blog today!